The Quarterly’s mission is to help define the senior management agenda; this anniversary issue* is focused on McKinsey’s vision for the future of management. (p. 1) The issue is organized around several themes (strategy, productivity, etc.) but we’re interested in how it addresses culture. 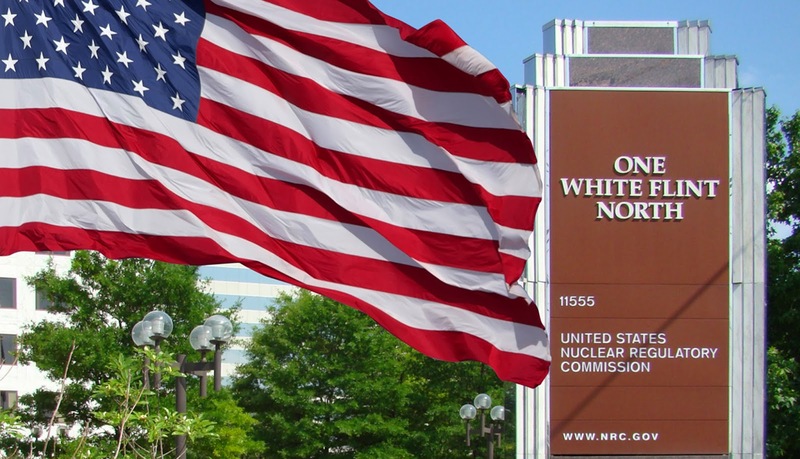 The word appears in several articles, but usually in passing or in a way not readily applied to nuclear safety culture. There were, however, a few interesting tidbits. One article focused on artificial intelligence as a sweeping technological change with exponential impacts on business. An interviewee opined that current senior management culture based on domain expertise will need to give way to becoming data-driven. “[D]ata expertise is at least as important [as domain expertise] and will become exponentially more important. So this is the trick. Data will tell you what’s really going on, whereas domain expertise will always bias you toward the status quo, and that makes it very hard to keep up with these disruptions.” (p. 73) Does the culture of the nuclear industry ignore or undervalue disruptions of all types because they may threaten the status quo? McKinsey’s former managing director listed several keys to corporate longevity, including “creating a culture of dissatisfaction with current performance, however good” and “focus[ing] relentlessly on values . . . A company’s values are judged by actions and behavior, not words and mission statements.” (pp. 121-22) The first point reinforces the concept of a learning organization; the second the belief that behavior, e.g., the series of decisions made in an organization, is culture-in-action. Any design for a strong safety culture should consider both. Lou Gerstner (the man who saved IBM) also had something to say about values in action: “The rewards system is a powerful driver of behavior and therefore culture. Teamwork is hard to cultivate in a world where employees are paid solely on their individual performance.” (p. 126) We have long argued that executive compensation schemes that pay more for production or cost control than safety send an accurate, although inappropriate, signal of what’s really important throughout the organization. Finally, management guru Tom Peters had some comments about leadership. “If you take a leadership job, you do people. Period. It’s what you do. It’s what you’re paid to do. People, period. Should you have a great strategy? Yes, you should. How do you get a great strategy? By finding the world’s greatest strategist, not by being the world’s greatest strategist. You do people. Not my fault. You chose it. And if you don’t get off on it, do the world a favor and get the hell out before dawn, preferably without a gilded parachute. But if you want the gilded parachute, it’s worth it to get rid of you.” (p. 93) Too simplistic? Probably, but the point that senior managers have to spend significant time identifying, developing and keeping the most qualified people is well-taken. None of this is groundbreaking news. But in a world awash in technology innovations and “big data” it’s interesting that one of the world’s foremost management consulting practices still sees a major role for culture in management’s future. * McKinsey Quarterly, no. 3 (2014). Most of us associate psychologist James Reason with the “Swiss Cheese Model” of defense in depth or possibly the notion of a “just culture.” But his career has been more than two ideas, he has literally spent his professional life studying errors, their causes and contexts. A Life In Error* is an academic memoir, recounting his study of errors starting with the individual and ending up with the organization (the “system”) including its safety culture (SC). This post summarizes relevant portions of the book and provides our perspective. It is going to read like a sub-titled movie on fast-forward but there are a lot of particulars packed in this short (124 pgs.) book. People make plans and take action, consequences follow. Errors occur when the intended goals are not achieved. The plan may be adequate but the execution faulty because of slips (absent-mindedness) or trips (clumsy actions). A plan that was inadequate to begin with is a mistake which is usually more subtle than a slip, and may go undetected for long periods of time if no obviously bad consequences occur. (pp. 10-12) A mistake is a creation of higher-level mental activity than a slip. Both slips and mistakes can take “strong but wrong” forms, where schema** that were effective in prior situations are selected even though they are not appropriate in the current situation. Major accidents (TMI, Chernobyl, Challenger) have three common characteristics: contributing factors that were latent in the system, multiple levels of defense, and an unforeseen combination of latent factors and active failures (errors and/or violations) that defeated the defenses. This is the well-known Swiss Cheese Model with the active failures opening short-lived holes and latent failures creating longer-lasting but unperceived holes. Organizational accidents are low frequency, high severity events with causes that may date back years. In contrast, individual accidents are more frequent but have limited consequences; they arise from slips, trips and lapses. This is why organizations can have a good industrial accident record while they are on the road to a large-scale disaster, e.g., BP at Texas City. Reason describes a “cluster of organizational pathologies” that make an adverse system event more likely: blaming sharp-end operators, denying the existence of systemic inadequacies, and a narrow pursuit of production and financial goals. He goes on to list some of the drivers of blame and denial. The list includes: accepting human error as the root cause of an event; the hindsight bias; evaluating prior decisions based on their outcomes; shooting the messenger; belief in a bad apple but not a bad barrel (the system); failure to learn; a climate of silence; workarounds that compensate for systemic inadequacies’ and normalization of deviance. (pp. 86-92) Whew! Reason teaches us that the essence of understanding errors is nuance. At one end of the spectrum, some errors are totally under the purview of the individual, at the other end they reside in the realm of the system. The biases and issues described by Reason are familiar to Safetymatters readers and echo in the work of Dekker, Hollnagel, Kahneman and others. We have been pounding the drum for a long time on the inadequacies of safety analyses that ignore systemic issues and corrective actions that are limited to individuals (e.g., more training and oversight, improved procedures and clearer expectations). The book is densely packed with the work of a career. One could easily use the contents to develop a SC assessment or self-assessment. We did not report on the chapters covering research into absent-mindedness, Freud and medical errors (Reason’s current interest) but they are certainly worth reading. Reason says this book is his valedictory: “I have nothing new to say and I’m well past my prime.” (p. 122) We hope not. * J. 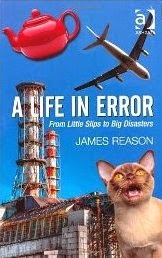 Reason, A Life In Error: From Little Slips to Big Disasters (Burlington, VT: Ashgate, 2013). *** This will ring familiar to readers of Daniel Kahneman. See our Dec. 18, 2013 post on Kahneman’s Thinking, Fast and Slow.